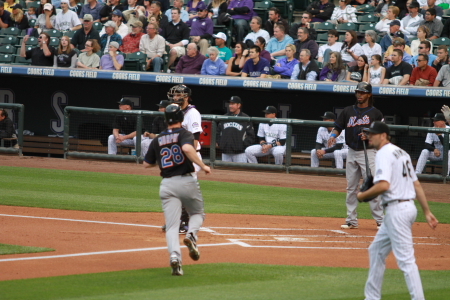 This was the first game of two for the day! 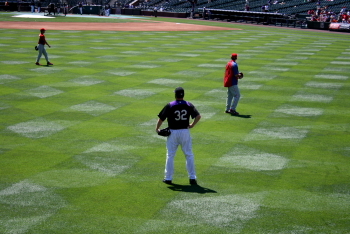 When we arrived at the stadium we watched a bit of batting practice which was across the parking lot from the stadium. 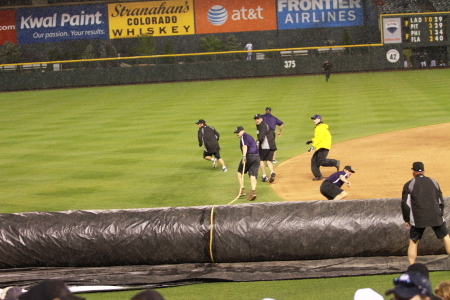 Only one ball was hit out in about the 10 minutes or so we were out there. 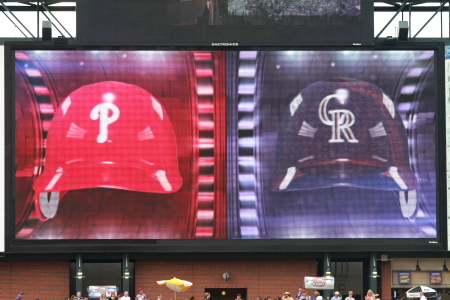 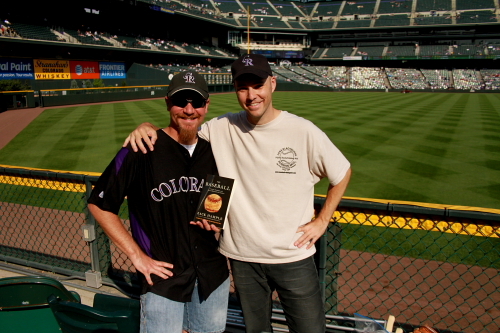 I attended this game with “D” Rockpile Ranter and Jim from Nederland. 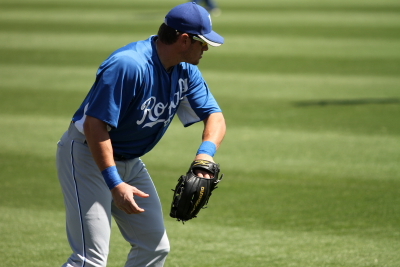 After entering the stadium I headed down to the Royals side of the field down the 3rd base-line. 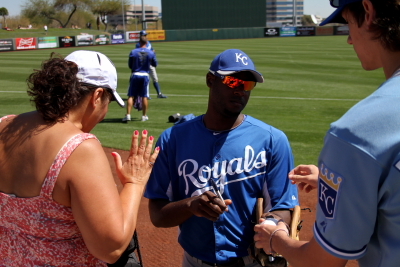 Royals out-fielder Lorenzo Cain signing autographs. 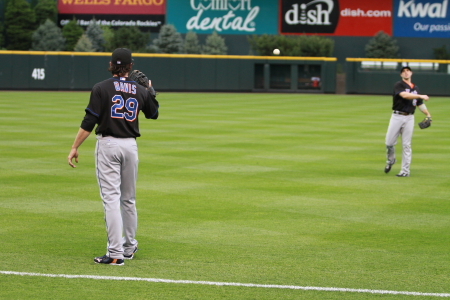 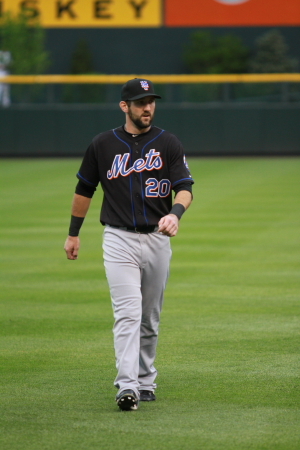 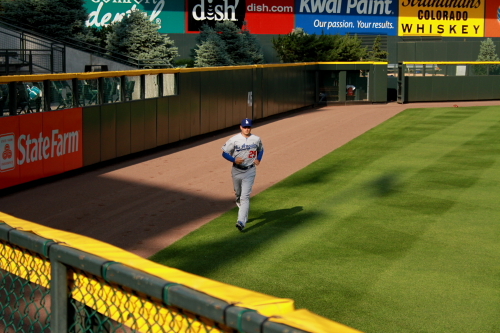 Royals Mitch Maier catches a throw during warm ups. 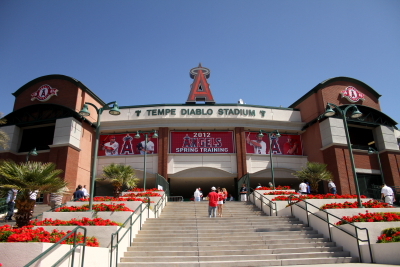 After a little while out there I headed over to the Angels side of the field. 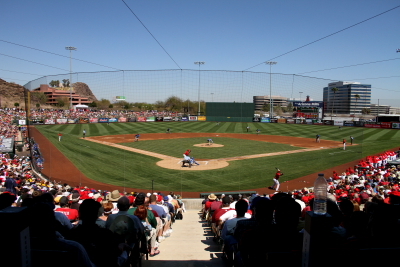 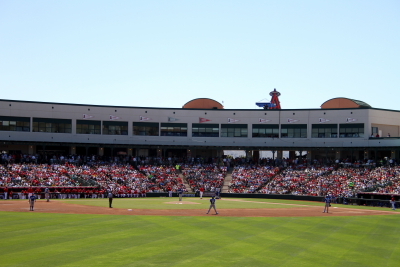 View of Tempe Diablo from the 1st base line. 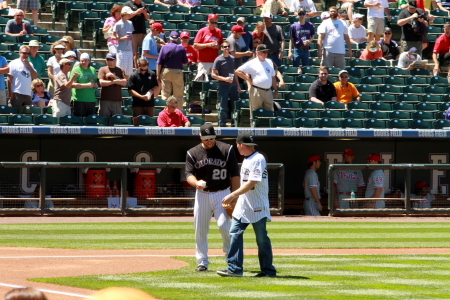 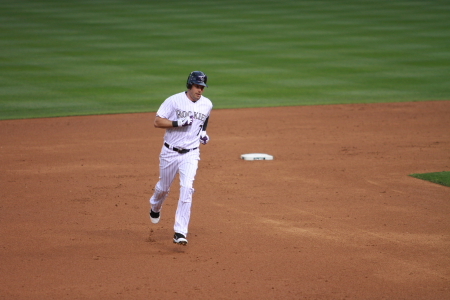 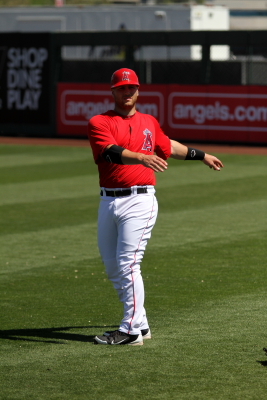 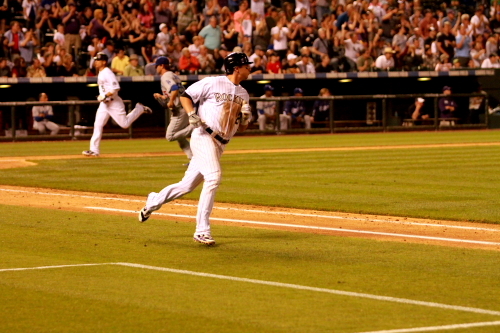 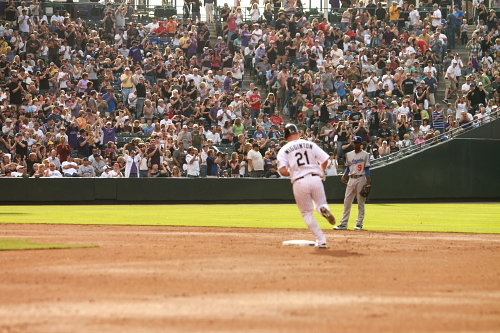 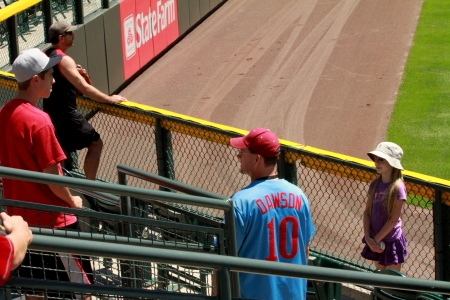 Former Rockie Chris Iannetta was stretching out there. 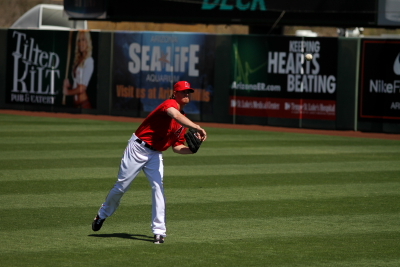 Jered Weaver long tossing with Chris Iannetta. 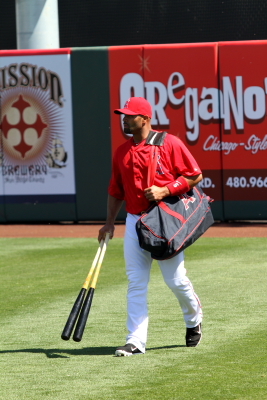 Newest Angel Albert Pujols takes the field. 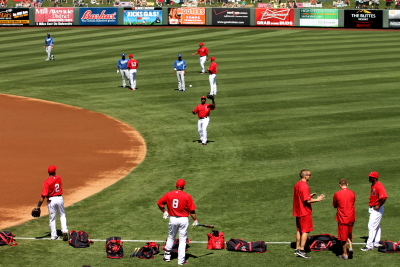 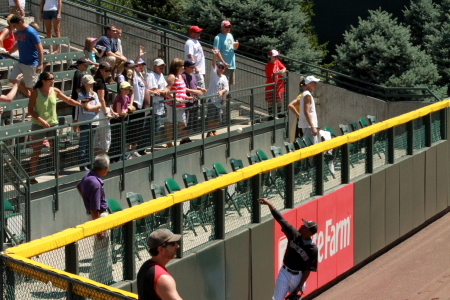 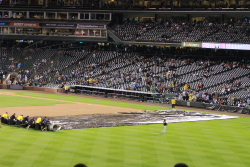 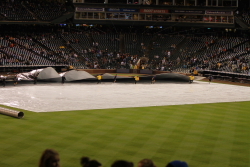 A look at the Angels warming up before the game. 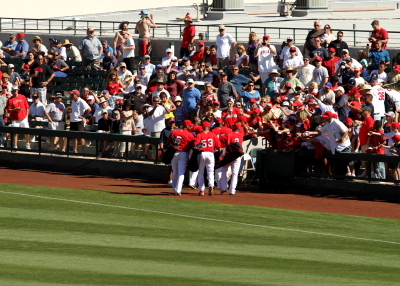 Jered Weaver and Chris Iannetta heading to the Dugout. 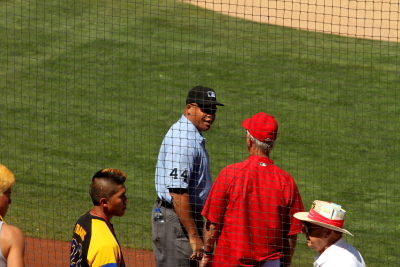 Umpire Kerwin Danley Talks to Angels Coach. 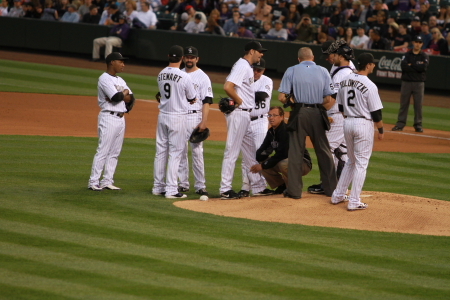 Danley has 14 years MLB experience as an umpire. 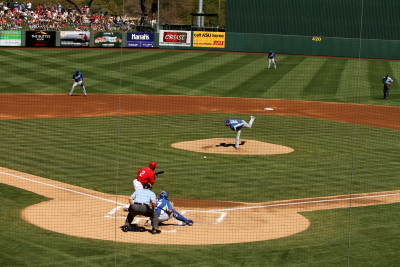 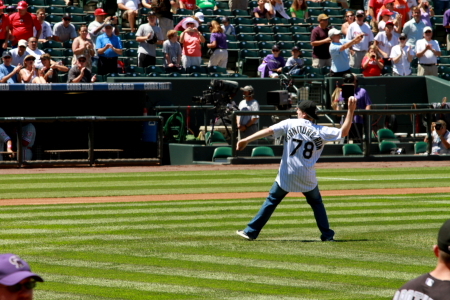 Jered Weaver throws first pitch to the Royals first batter. 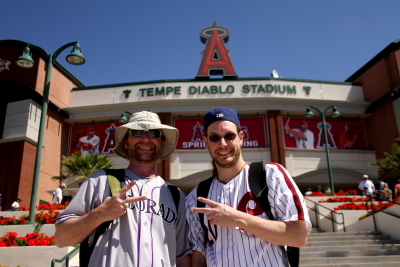 This Game will be a little different since I lost my score sheet between stadiums that day so I don’t have much info to help. 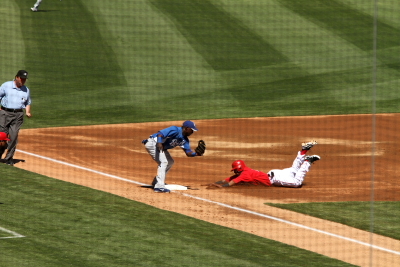 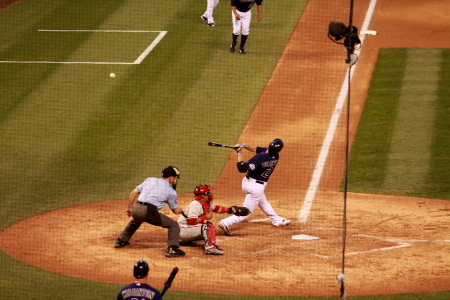 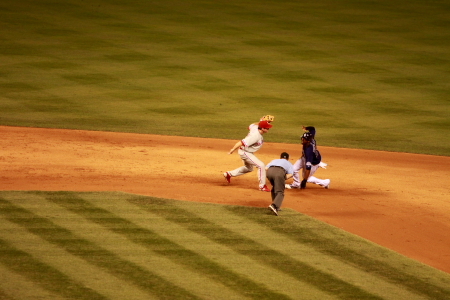 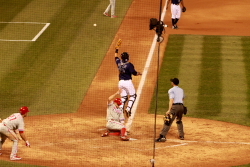 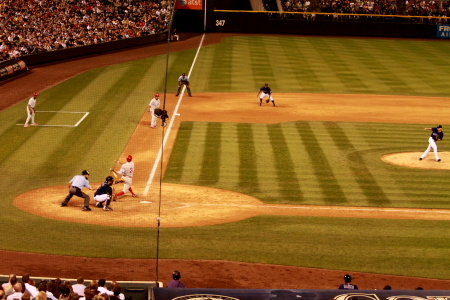 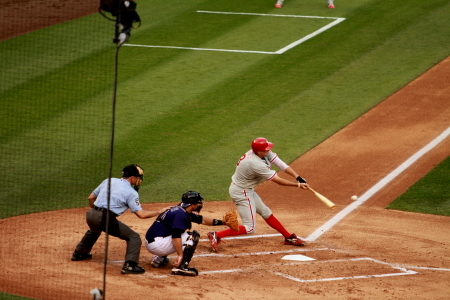 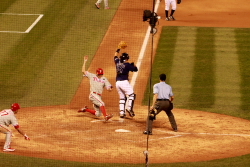 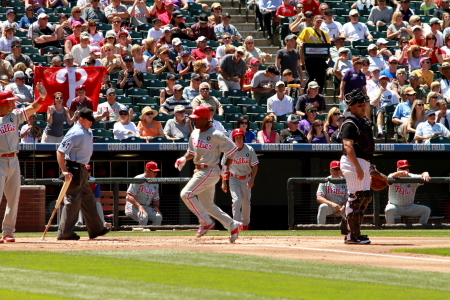 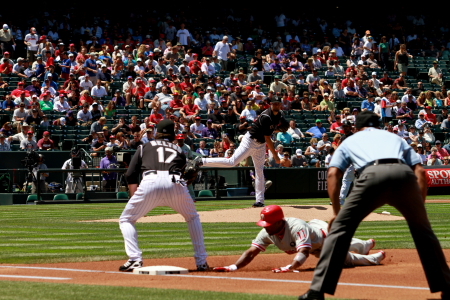 I believe this is Aybar caught stealling caught stealing 3rd. 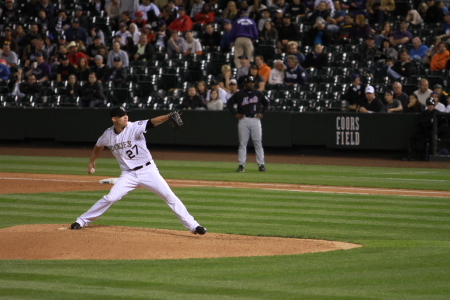 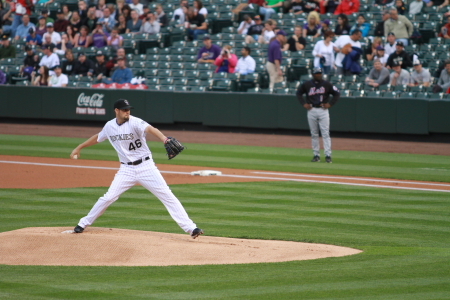 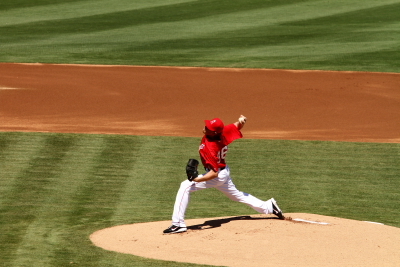 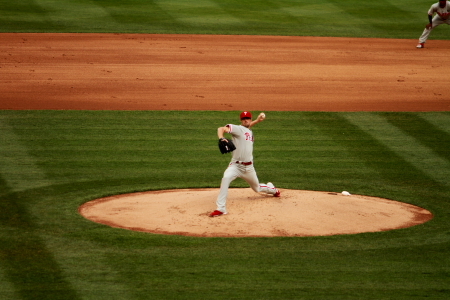 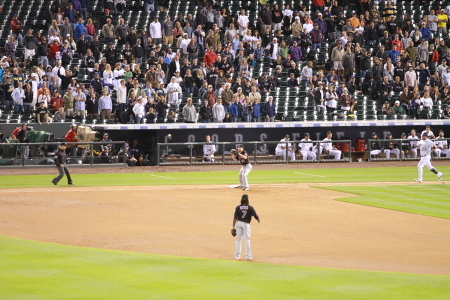 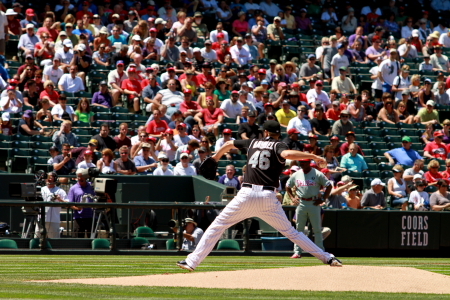 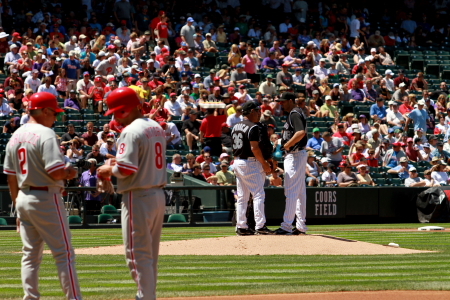 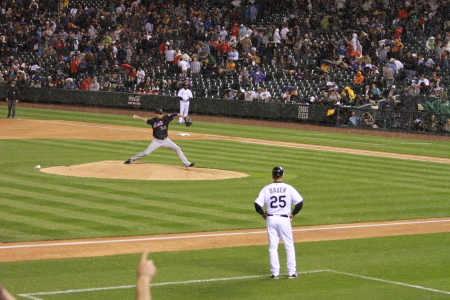 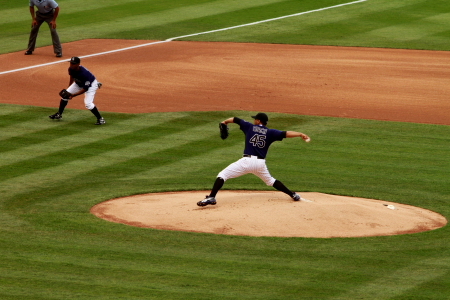 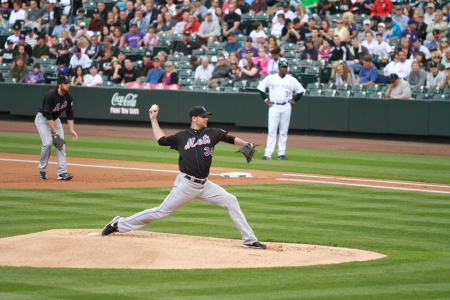 Weaver pitching in the 2nd inning. 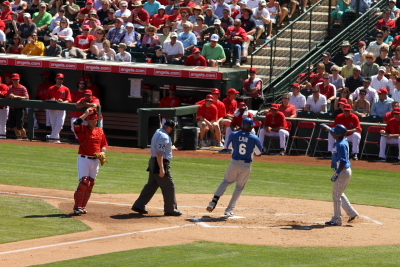 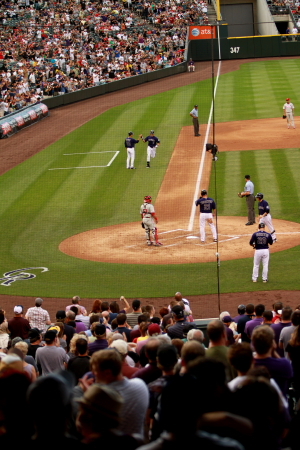 Lorenzo Cain stepping on the plate after his 2nd inning. 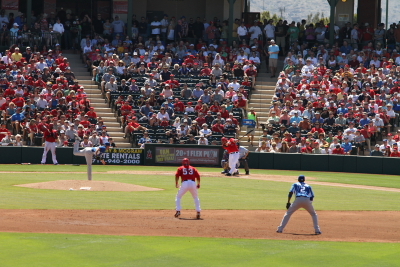 A look from the berm in left center. 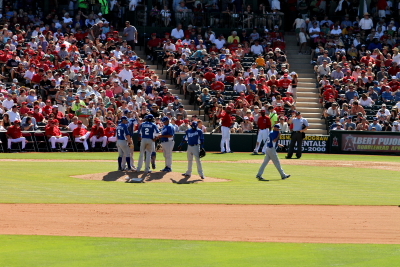 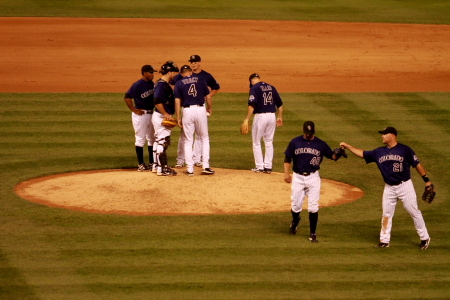 Pitching change for the Royals. 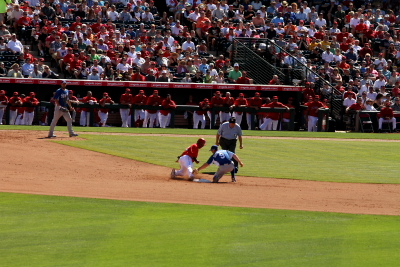 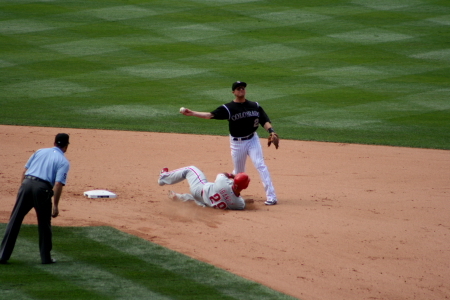 Aybar caught stealing at 2nd. 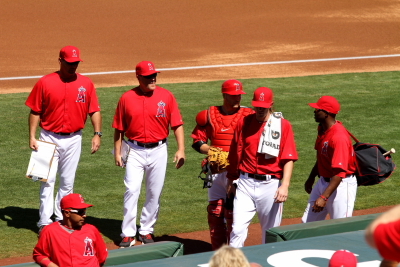 The Angels starters leaving around the 7th inning. 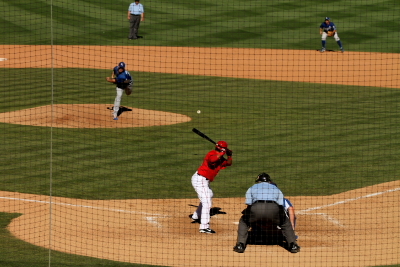 Later in the game behind HP a very cool usher at Tempe Diablo let us sit in seats back there. 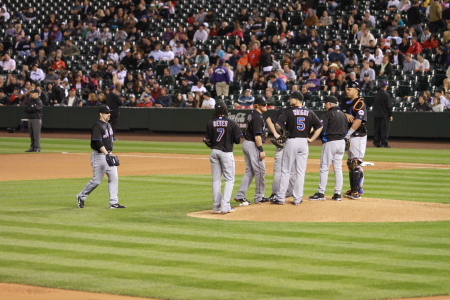 We sat there for about a inning before the game ended. 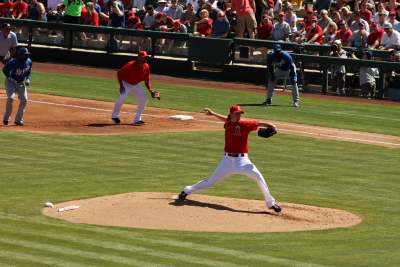 The Angels Won this game 7-4. 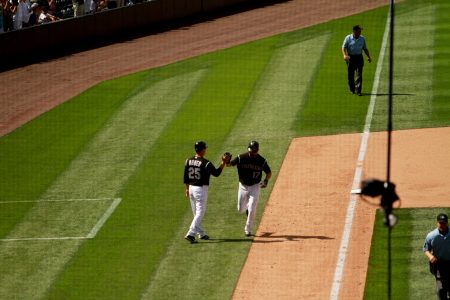 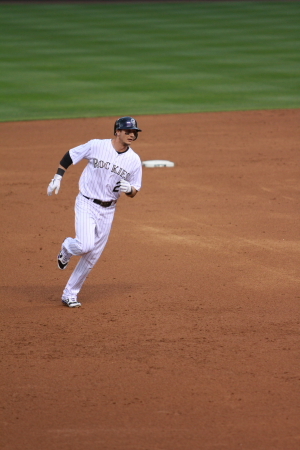 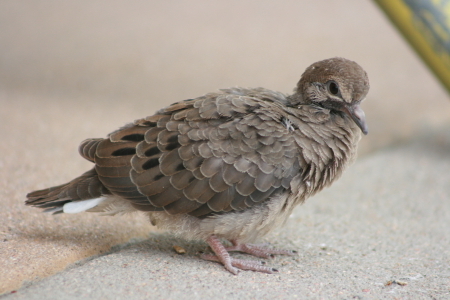 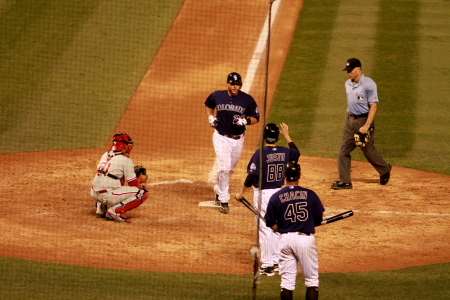 Iannetta went 1 for 2 with a double and 2RBI’s nice to see him settle in with the new team. 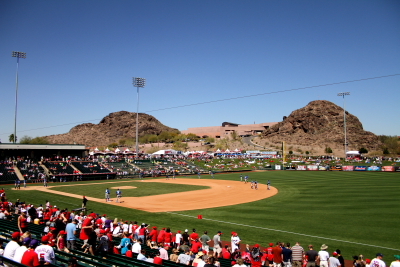 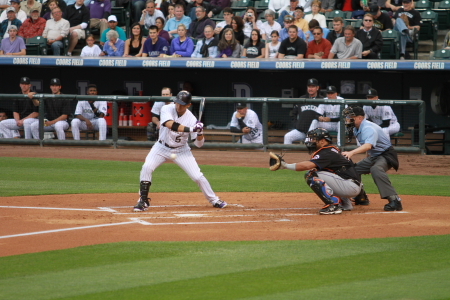 Few more left from Spring Training including game 2 from this day The Giants vs. Rockies at Salt River Fields @ Talking Stick. 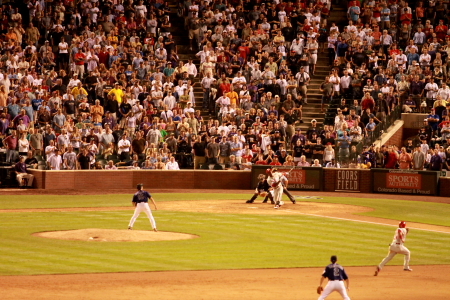 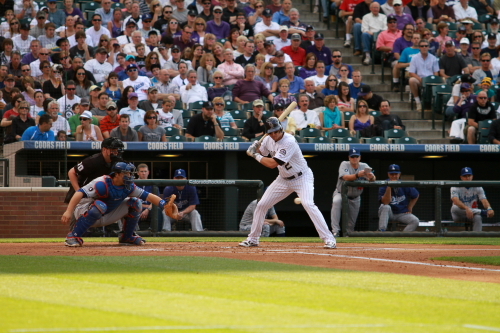 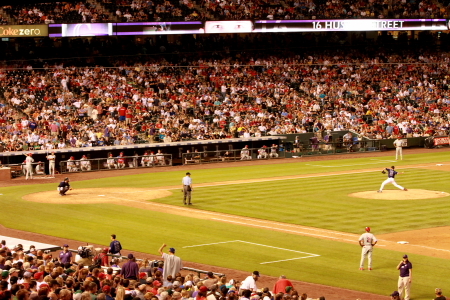 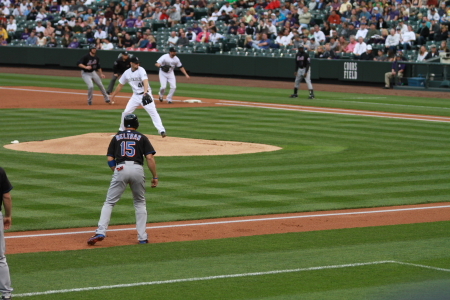 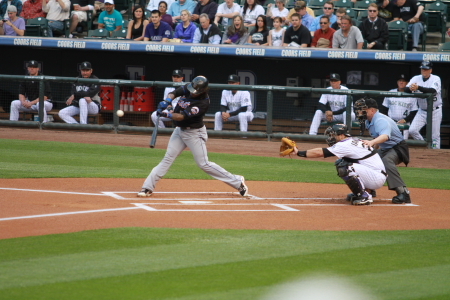 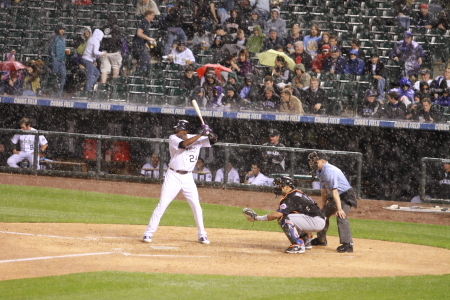 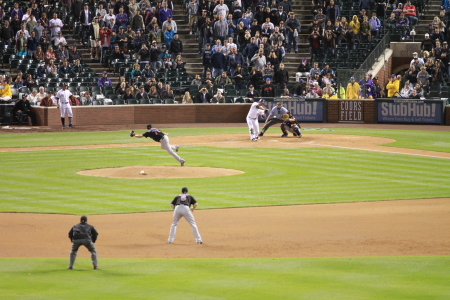 and the last game from Spring Training for me Cubs Vs. Rockies at Salt River Fields @ Talking Stick.